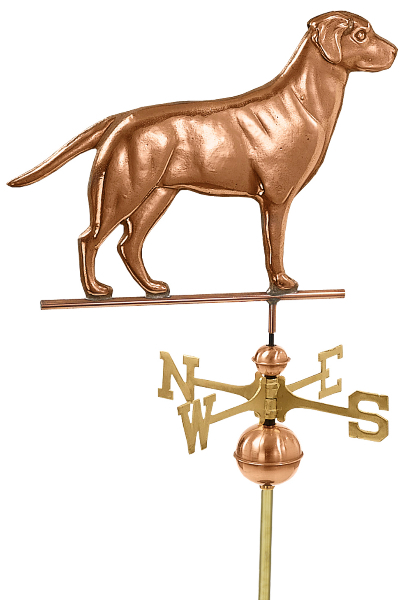 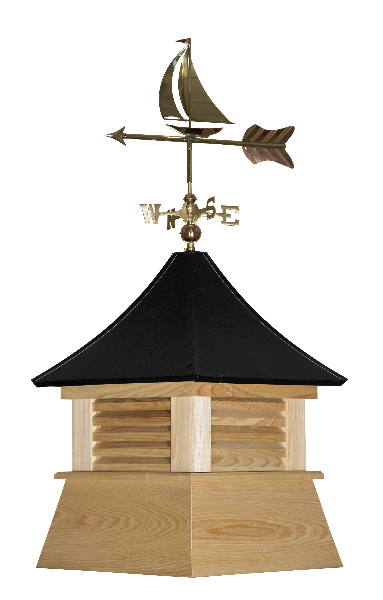 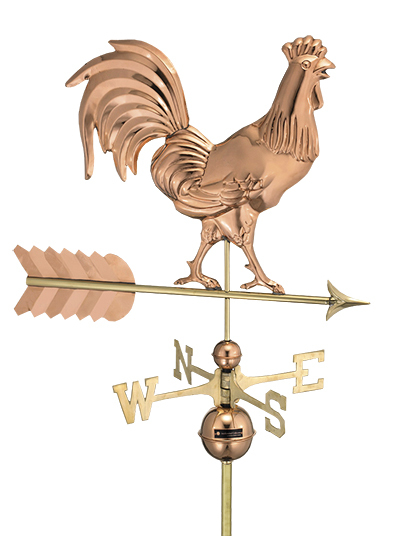 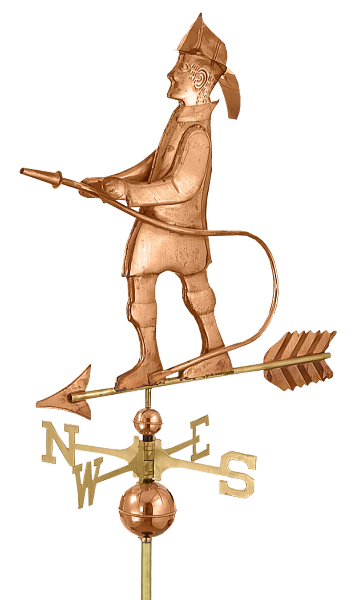 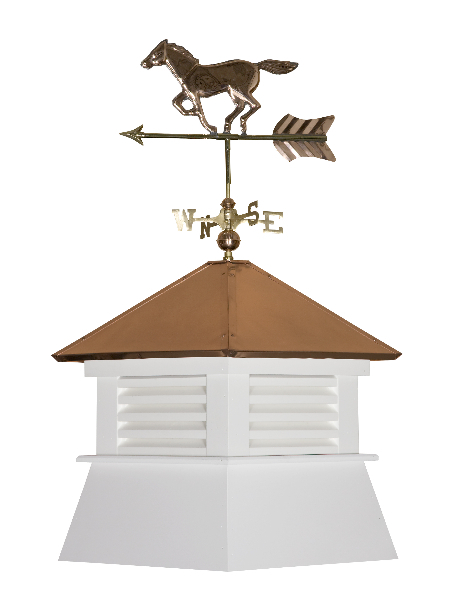 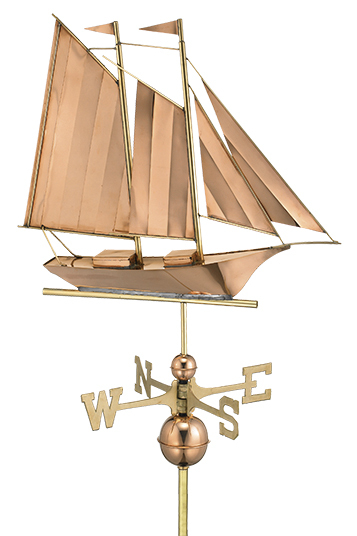 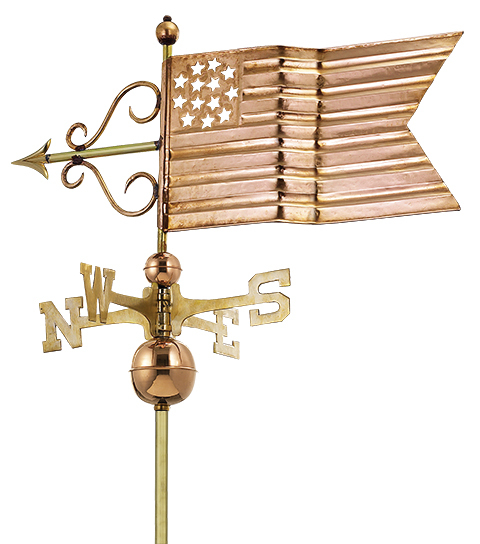 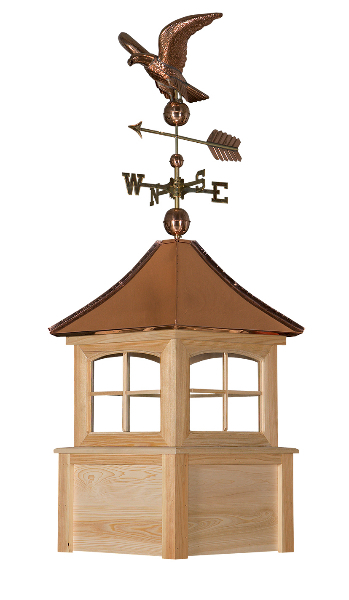 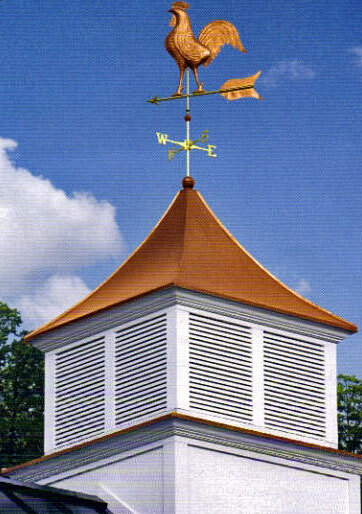 Not only will our Cupolas and Weathervanes add style and charm to your garage, horse barn or commercial building, they can also function as an important source of ventilation. 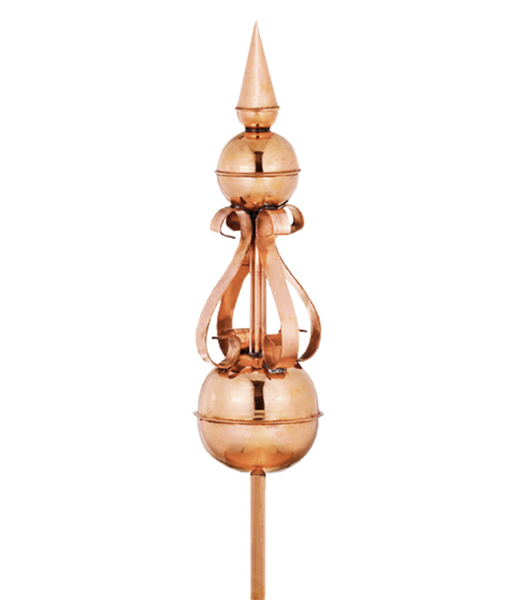 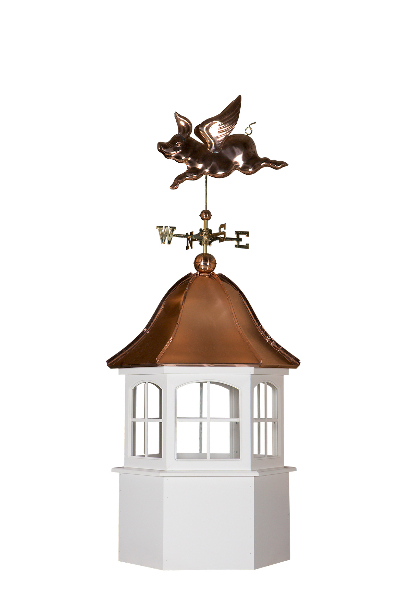 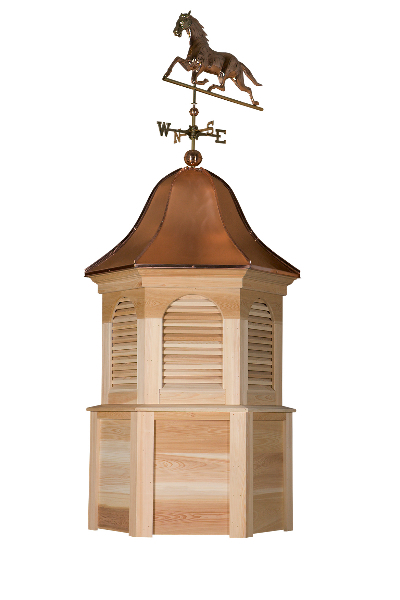 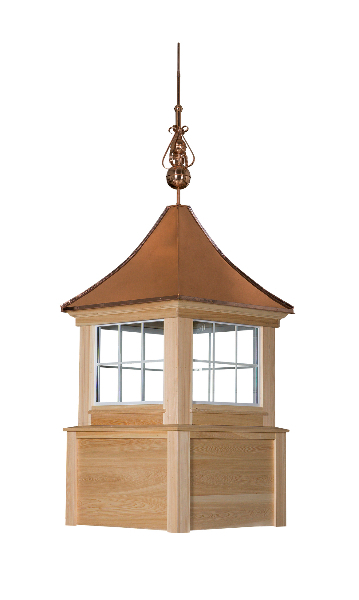 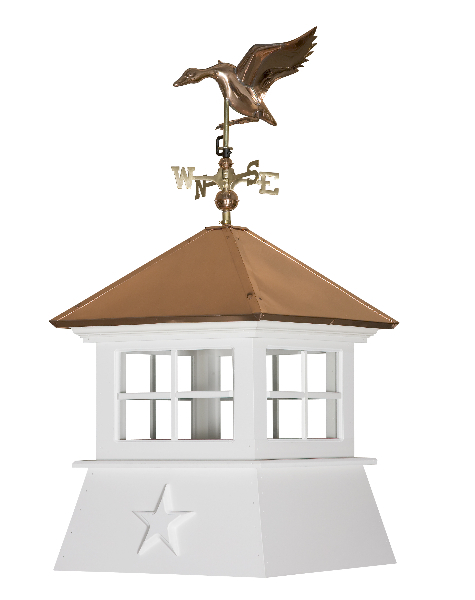 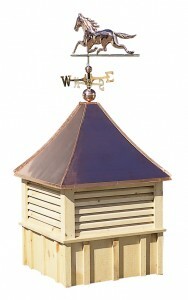 Our Cupolas are made, in America, from either a premium grade Mahogany or Cedar lumber or a 100% maintenance free recycled plastic lumber known as Polyethylene. 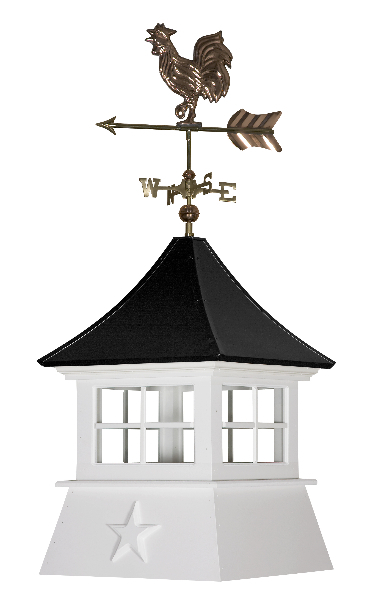 Polyethylene is a paint free durable product which will never fade, crack, rot, or peel. 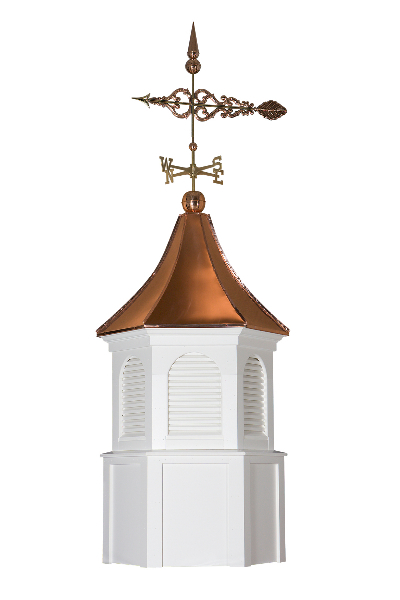 Polyethylene cupolas are available in white only and are assembled with stainless steel fasteners which will not rust or decay.